Help prevent shafts from flexing under load with these 2-bolt flange-mount bearings. 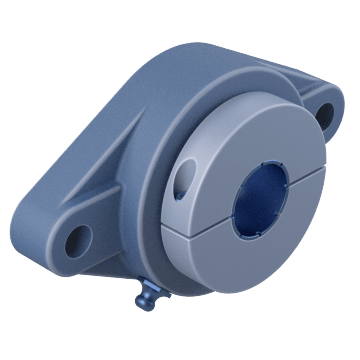 The bearing's housing has two bolt holes and attaches to a mounting surface to support a shaft that passes through the bearing at a right angle to the surface. 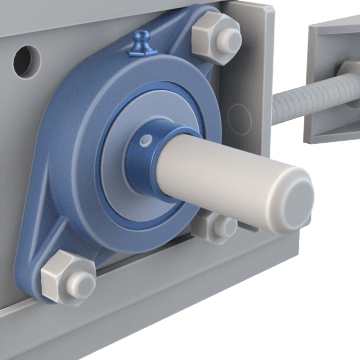 The bearing allows the shaft to rotate smoothly while the housing helps support the load on the shaft. 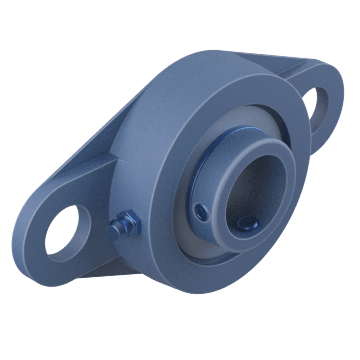 Two-bolt flange-mount bearings provide less support than 3- or 4-bolt bearings and are recommended for applications with light to moderate loads. 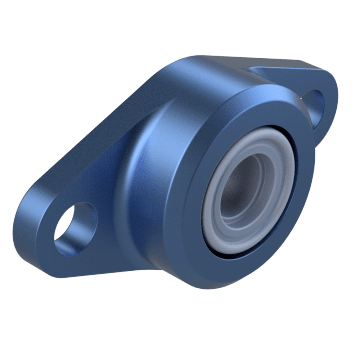 For standard applications with no special environmental concerns, these ball bearings with housing provide a smoother and lower-friction motion than sleeve bearings. Enhance precision in your system with self-aligning ball bearings that accommodate some angular misalignment of the shaft. Ball bearings provide a smoother and lower-friction motion than sleeve bearings. The integrated lubrication in these bearings meets USDA requirements for use in some food and pharmaceutical industries. 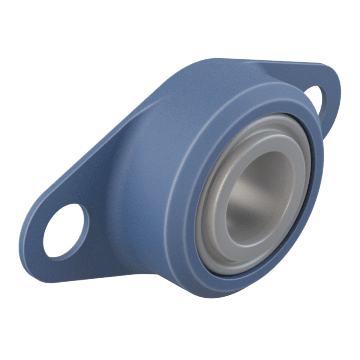 Commonly used in blowers, conveyors, and farm equipment, these bearings can handle greater impacts than other mounted ball bearings because the wider inner race distributes the load over more area. 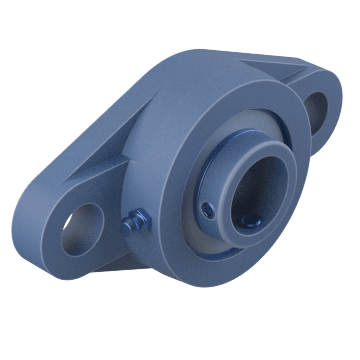 Constructed from a self-lubricating polymer material, these mounted bearings are resistant to moisture, abrasion, corrosion, and dirt. 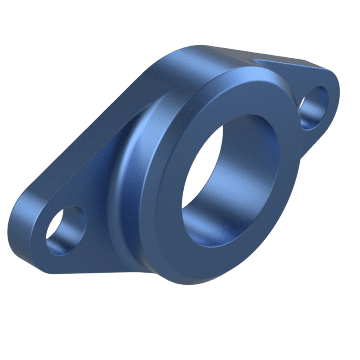 Sleeve bearings support a load across their full length, as compared to ball bearings, which have one small point of contact. Durable, single-piece solid polymer sleeve bearings resist moisture, abrasion, corrosion, and dirt. 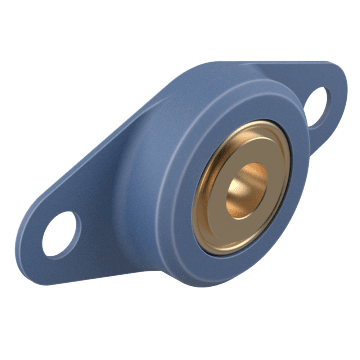 Intended for standard duty applications, these mounted bearings are made of oil-impregnated bronze for extended lubrication. 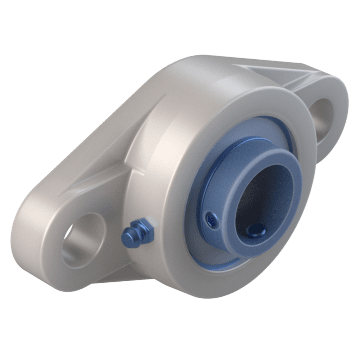 Ideal for harsh environments that are subject to regular washdowns, these mounted sleeve bearings are self-lubricating and resistant to most corrosive chemicals.